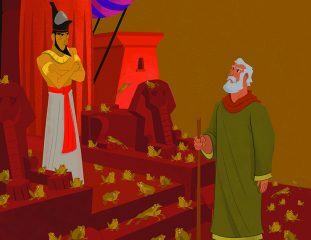 The story we call “God Showed His Power to Pharaoh” reveals how God brought the Hebrew people out of Egypt after 400 years of slavery and is found in Exodus 5:1 through 12:32. This video is almost 3 minutes long and highlights points you might want to make as you teach the story to kids. Other activities related to this story can be found here.